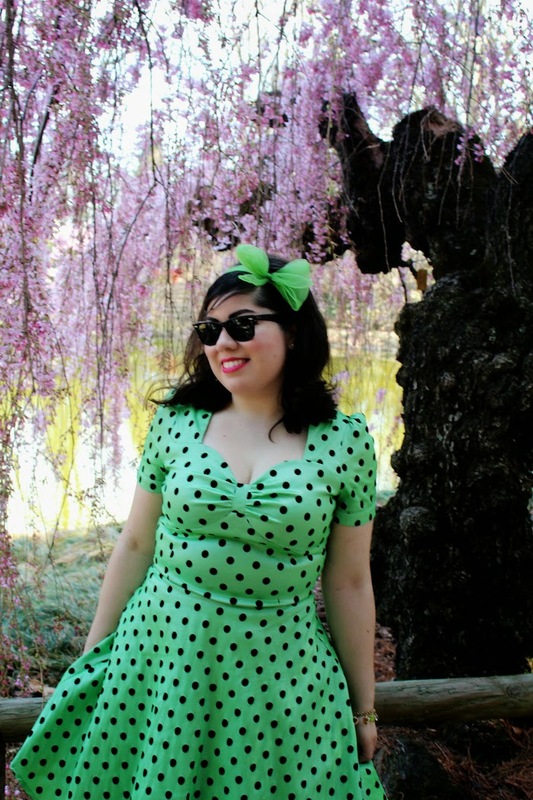 This polka dot dress was perfect for my trip to the Brooklyn Botanic Garden. It's one of my favorite places in Brooklyn. You're immediately transported to a wondrous world of nature. The colorful surroundings can't help but brighten your day as you stroll along the walkway. My hair was doing something weird that day, but the dress fit like a glove. It felt comfortable with just the right amount of whimsy. I added a petticoat for extra fluff. Although I was apprehensive about the color, it turned out great and I fielded compliments from strangers all day! 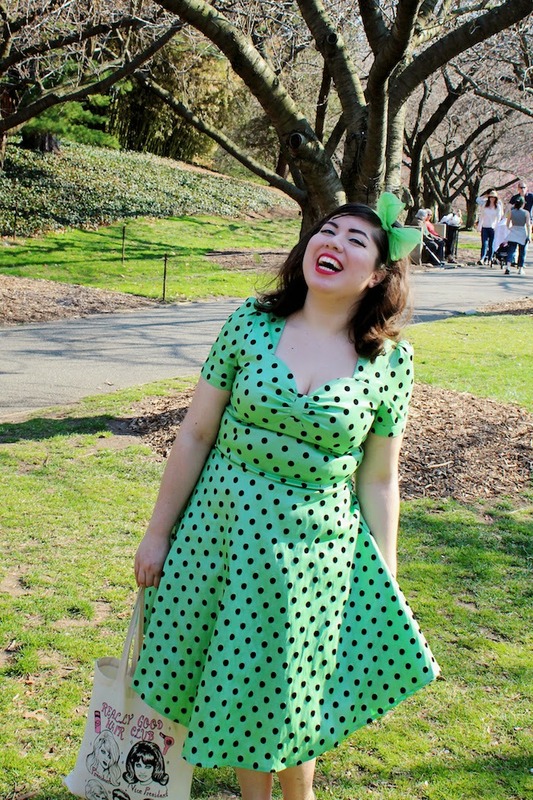 The day was filled with magical spring moments and I'm glad to have worn something special. My adorable tote is from one of my favorite etsy shops. It suits my style to a T! SOOOOO cute! I love your smile!!! You look adorable, and what a great color on you! I wish we could've gone here in the spring -- it looks so gorgeous when everything is in bloom! Beautiful dress and photos. Love your blog, which I just found via Voodoo Vixen's tweet. Ahhh I love that dress! Thanks! xo I don't really remember how it looked when we went..there were roses no? The roses were not in bloom at all this time, but lots of other flowers! 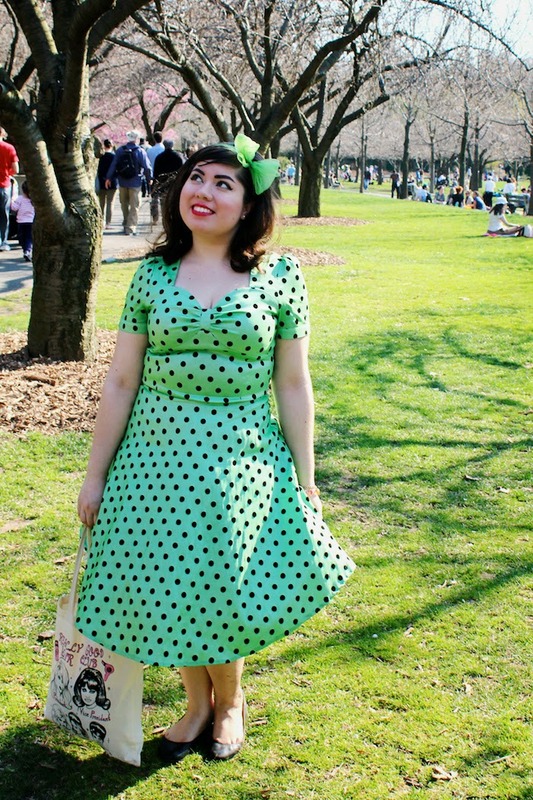 I love polka dots this dress looks stunning on you. Beautiful photos. It's the perfect amount of fancy and cute/comfy! You look so fantastic!! 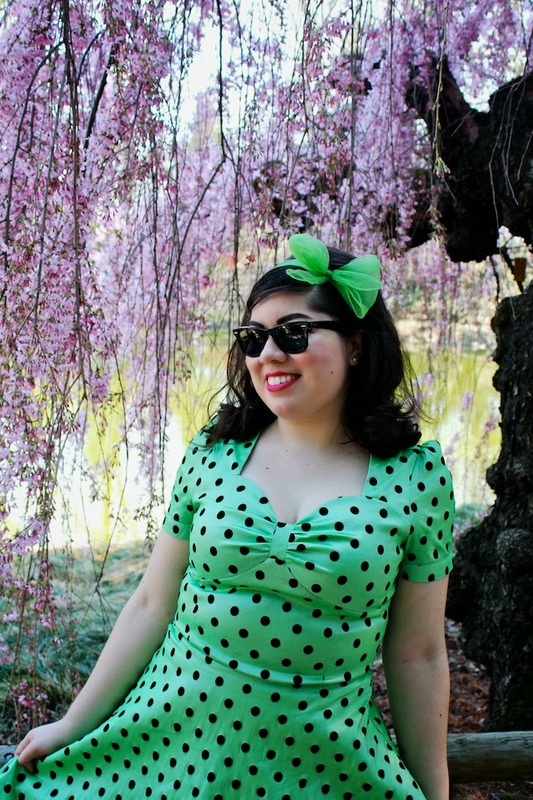 Your bow, your hair, and your dress are all to die for!